Entertaining friends by sharing a good meal is central to the Pastrana Studio lifestyle. 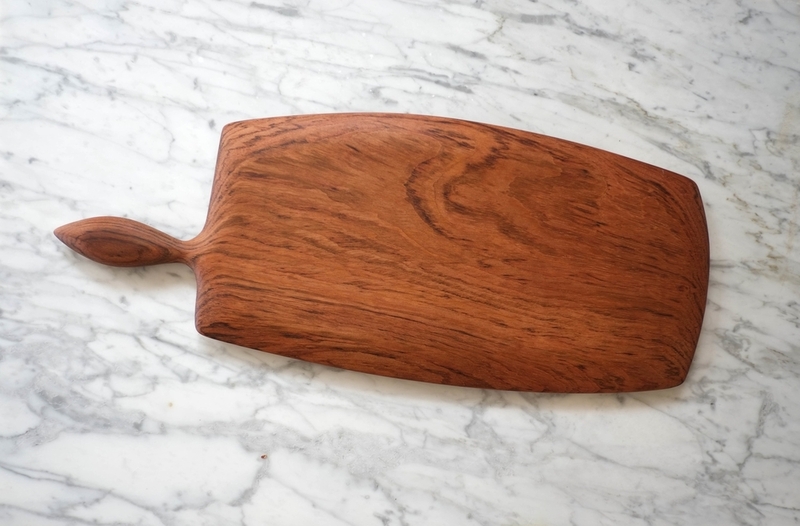 Our Serving board is quietly at the center of every affair: an ideal, natural element for presenting thoughtfully prepared food. 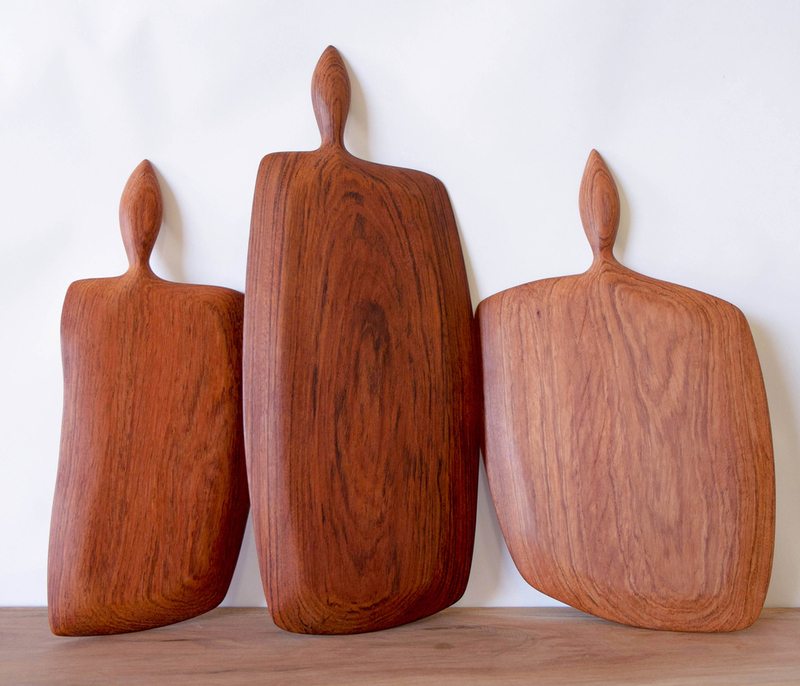 Feminine lines, deep rich coloring, and modest curves elevate each serving board to a display piece. 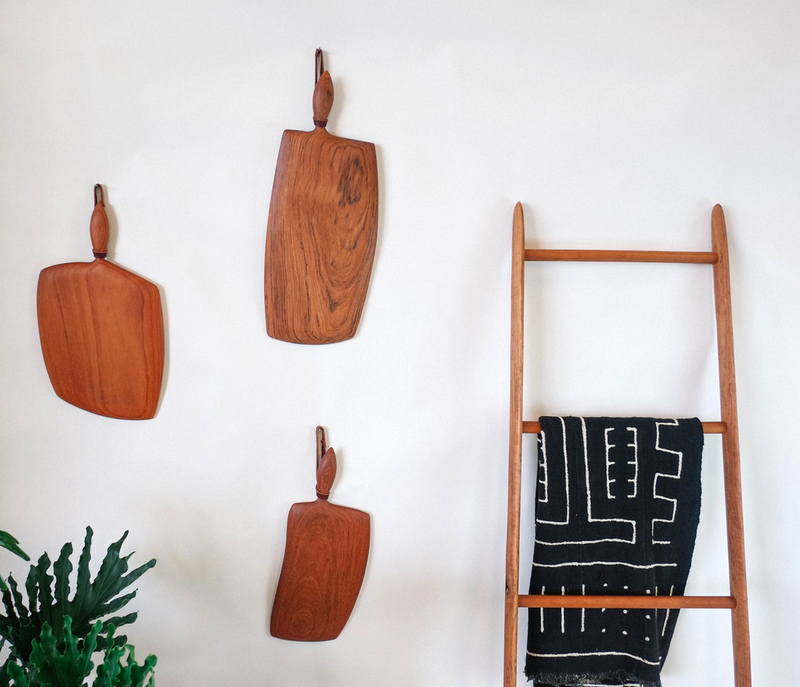 But don't be precious with it: fashioned out of hard Jatoba wood, it will stand up to everyday use. Boards can be purchased with or without our oil-tanned Latigo strap. Each item we sell is one of a kind and made with our own hands. Because of this, we’re normally unable to ship right away–most items ship in 2-3 weeks. Occasionally we’ll have an item in stock that we can ship in 5 business days. To ask more about availability, email us at contact@pastranastudio.com and we’ll be happy to answer you.